You already know the movie is brilliant. It’s no surprise. It is a Christopher Nolan movie, one doesn’t simply expect anything less than brilliant from him. Here’s what’s great and not great (yep! not perfect) about Intersteller. Intersteller is largely a movie to be experienced. It’s a movie that presents your space imaginations in an extremely beautiful way. It’s a visual treat to watch Intersteller. There’s just a lot to admire about here, the way the ranger hooks into a wildly spinning Endurance is brilliantly shot. It’s beautiful, edge of the seat entertaining. Or take for instance the gigantic water waves at Miller’s Planet. They are scientifically accurate, breathtakingly beautiful and have the quality to strike panic. Then there’s the much talked about Gargantua, again scientifically accurate to the very last detail of it’s functioning. These and a lot more such instances make the movie a treat to watch, even if it’s too much to take in all the facts of relativity at once. The characters are well sketched out and well acted. 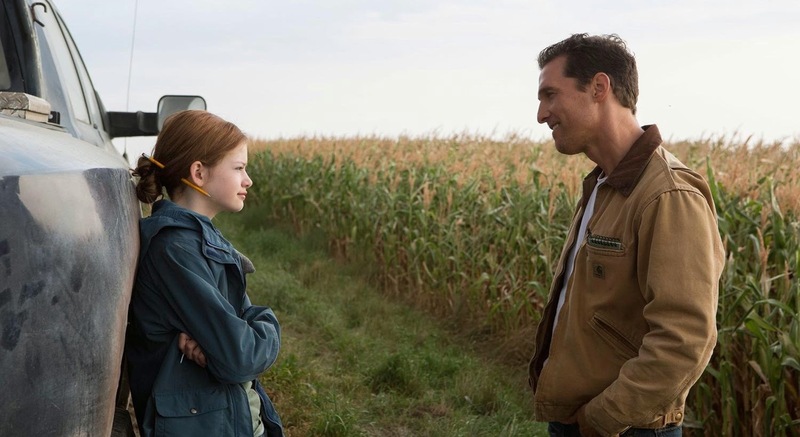 Cooper as the ex-pilot father determined to keep the promise he made to his daughter is well played by Matthew McCaughey. Then there’s TARS, the robot. TARS is the most interesting robot I’ve come across after Marvin from Hitchhiker’s Guide To Galaxy. There are moments when TARS feels almost human, he moves in and out of conversations with effortless ease, his occasional humour is well timed and overall he’s just as much a part of the crew as Brand or Romilly. Watch him rescue Brand from a giant tidal wave. The pace with which he moves is mechanical but the emotion behind it, purely human! TARS just owned that scene. If there’s one thing that’s wrong with the movie in terms of acting, its probably Michael Caine’s acting, which feels slightly off colour. At one point in the movie, it’s almost as if he’s wanting to finish off his work. We’ve certainly seen better from the Academy award winner. Nolan’s already a master of playing with time. He’s shown that skill several times now. Memento & Inception pretty much relied on the director’s skill to work with varying time intervals. He takes a step forward with Intersteller. Here he’s dealing with Gravitational and Relativistic Time Dilation. 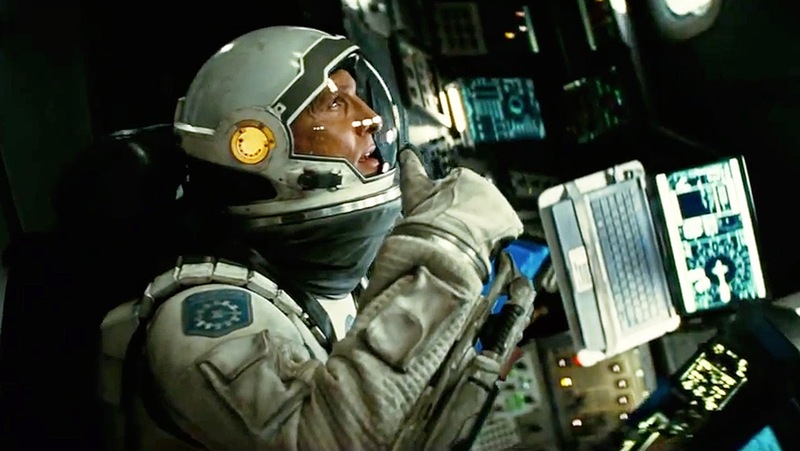 The movie’s pretty much a showcase of how Nolan’s controlling the 4th dimension. He also gives us a glimpse of the concept of Spherical Time in the movie. (It’s mighty confusing but loads of fun too!). The plot’s fairly straight forward here. Earth’s a diminishing planet, large amounts of cultivable crops are die-ing away every season. At some point of time, Cooper (ex-NASA pilot) stumbles upon an undercover space-travel mission from NASA. The mission is about finding a planet suitable for human settlement and then transporting the people away from Earth to a newer home. The planets they’ve zeroed in on are in a different galaxy, one that’s to be reached by travelling through a worm-hole. To be frank, this is a fairly straight forward story told in a way assuming that you know how Space travel works. There’s time dilation, moving through a spherical worm-hole, concepts about what tidal waves and time would behave like in a planet where Gravity behaves differently. And then there’s the challenge which is entirely based on the complexities of time dilation. All this may is pretty straight forward if you are aware of these theories, even the movie’s mind-bending climax is pretty much based on scientific calculations, again figure able if you’ve read about it. Intersteller’s about facts. It’s not confusing and it tries its best explaining these concepts, just watch Romilly explain Cooper why the wormhole is spherical and not circular. But the fact-heaviness of the movie may be a slight negative for some here. It’d be unfair to not mention about the care taken to make the Science Fiction as scientifically accurate as possible. 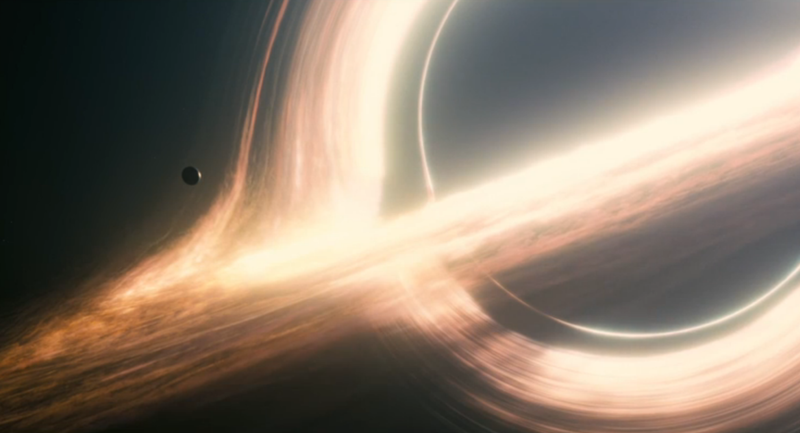 The directors hired Kip Thorne for the work. There research and fact checking works wonders here. We’ve all visualised Black Holes differently, but thanks to some great scientific research, we see a beautiful and entirely different view on Black Holes. Not to forget some great use of Slingshot effect here. The added scientific accuracy, is not a necessity but definitely nice to have in the movie. 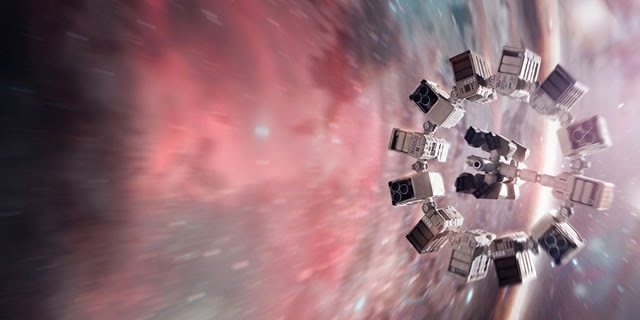 In the end, Intersteller’s breathtaking visuals (almost an advertisement for space travel), a mind bending climax, a rousing soundtrack by Hans Zimmer, some awe-inspiring moments like the one about Hyperspace and a gripping screenplay make for an engaging watch. It’s different, It’s beautiful and the treat’s ten times more engaging for anyone interested in Science. If only it were more accessible. There’s a lot to like about Happy Ending. It’s a joyous movie in general, with little conflict and a good comedy but then its also conventional and boring in parts, which doesn’t seem good for a movie which mocks the very conventional and boring content that it ends up offering to its audience. It’s a movie aware of the fact that its going to bore its audience for about half an hour at least. The actors play writers here. One (Khan) facing a supposed writer’s block, the other (D’Cruz) enjoying the fame that comes with a successful novel. Khan’s a one book wonder whose just been given the boring task of writing a conventional ‘Romedy’. The movie’s first half’s a breeze. There’s a lot of good humour here, you’ll find yourself chuckling at some really witty instances, for example the phrase that the publisher Gary comes up for warning budding writers about one book wonders. “You’ll get Yudied!” (Reminds me of how the tech-community refers to buggy releases as Vista moments :) ), or the tracking (bugging rather) app by the name of ‘No Space’. Or the repeated mention of halves to make the numbers seem low (6 years? No just 5 and a half! ), cleverly sewed into the movies title headings too! The movie’s filled with such little gems, which makes up for the rather boring second half. Then there’s Govinda, who is in top form, he pretty much livens up the movie with his fantastic comic timing. He get’s the movies best lines and the most interesting and innovative pieces. But it’s not just Govinda who's doing an amazing job here, its pretty much the entire supporting cast that’s to be credited for the best parts in the movie. Ranvir Shorey as Montu is great, again, perfect comic timing. Kalki Koechlin’s also a part of the movie (also perhaps, has a greater role than the lead actress herself) and has some really witty one liners. Rahul Nath as Gary is phenomenal, his well timed NRI-ish Hindi and witty one-liners are enjoyable. 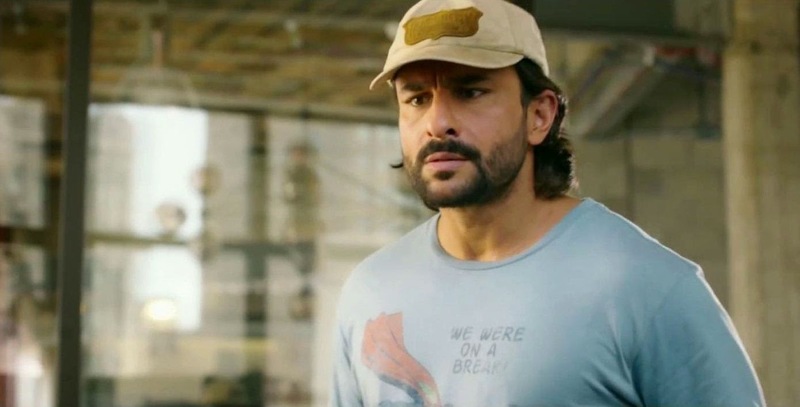 And lastly, there’s the alter ego double role by Saif Ali Khan, which again is a likeable and unique character. This has to be one of those movies where the supporting cast and their characters are far more interesting than the main leads. Not everything’s great with Happy Ending though, In fact there’s a lot that’s not great. As the movie goes into its second hour, the narrative slips to a dull and boring setup. We get to see long and boring conversations, fewer jokes and in general a pretty sloppy screenplay. The interest starts to ween out a little and it’s not until the last ‘half’ hour that movie gets back into its groove. Then there are the unnecessary sub plots which do nothing but stretch the narrative even further. Honestly, the second half needed some clipping and grooming. It’s also pity we see so little of Govinda in the second half, he was the highlight of the first half! There’s little detail given to the lead characters too. They’re supposed to be writers but there’s are the most depth-less characters. The writers do try to bring in a back story about a rock band and about not enjoying the writing but leave it just as quickly as they begin with it. And Indeed, the movie’s just filled with such incomplete, vague subplots which are never bought to a close. The result is, that we only have a half baked idea of the characters. So for instance we can guess, that D’Cruz doesn’t enjoy her writing , or that she’s a very blunt critic of other’s and her own work and that when she’s writing she’s just putting everything in negation to her opinion. These are interesting bits but it never really goes far enough to give us a well written character. Happy Ending isn’t all bad either. The comedy part’s great. Its got some of the most remarkably funny parts I’ve seen in a movie this year and as a result, its extremely like-able, you won’t feel bad or disappointed after watching the movie. Its also quite light-weight and despite its problems can make a for a good second watch easily. The soundtrack's quite good too. There’s a fair bit of product placement too, but it is BMW, so no one’s complaining for having to look at some of the most stunning cars! (Mini Cooper Convertible is a brilliant here! :) ). 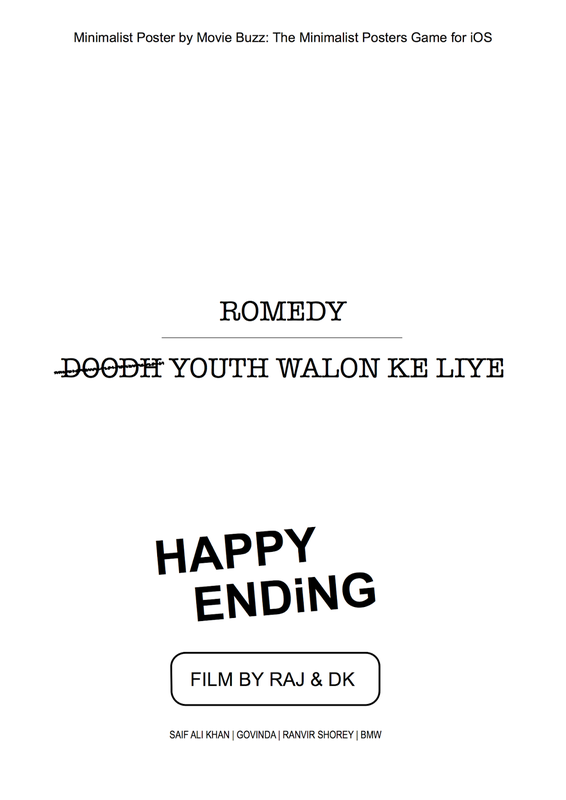 The directors show some innovation with movie headings too. Going with Yudi’s nature of not mentioning anything in integrals, the headings do the same. So you’ll see headings like “5 1/2 weeks later” and then they have fun mocking the conventional rom-com scenes too! So, mid way into the movie, you’ll find a heading which says, “Airport-wala Scene!”. I’d give Happy Ending 3 out of 5. It’s not the best movie this year, It’s not the directors’ best either but Its a good watch but going by the film’s tradition of not mentioning anything in integers, I’m quite tempted to change my rating to a real number too. So, Its 6.5 /10 then! P.S. Going by the film’s IMDb rating and general critical response, I’ve a feeling that’s going to turn up being a largely underrated movie. Honestly, its not as bad as the IMDb rating’s making it look.